NFL star to promote fireworks safety. Jason Pierre Paul is a professional football player with the NY Giants. You may remember his name from a fireworks accident that made the news in 2015 where he was misusing consumer fireworks and sustained significant injury to his hand as a result. Jason is back healthy, and planning to preach fireworks safety this year. Celebrate safely with fireworks this summer. Over the past decade, fireworks accidents have decreased even though sales have steadily increased. As the trend continues, more states are legalizing fireworks or amending their state laws to allow even more types of fireworks. Where they may have been safe n sane fireworks only, they are now allowing aerial type fireworks as well. Fireworks safety awareness is a big reason for the trends. Firework Factory Explosion in China. Another tragic firework factory explosion in China just before the Chinese New Year. Ten people were reported killed and seven injured in an explosion in another firework factory explosion in China just weeks ahead of the Chinese New Year, authorities said. The Tongxu county government in Henan province said the cause of the blast was not immediately clear and was under investigation. China is less than a month away from new year celebrations, when holiday revelers set off fireworks. There are frequent fireworks-related incidents at factories in the weeks leading to the holiday, as China generally has a poor record in workplace safety. Posted in Fireworks Accidents, Fireworks Explosions	| Tagged CHina Fireworks Explosion, Fireworks Accident, Fireworks Explode, Fireworks Explosion	| Comments Off on Firework Factory Explosion in China. 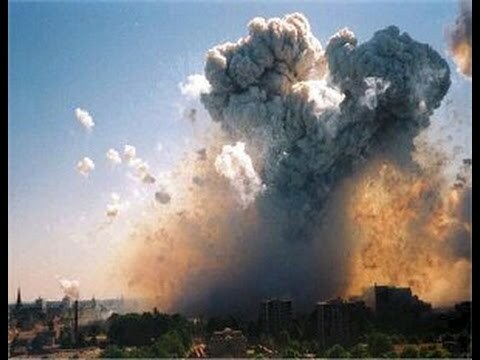 Worst Fireworks Explosions and Accidents! Although its not an accident, this video shows the power of fireworks. Here a Chinese Company is testing a mass ignition of aerial salutes to determine if they detonate or explode one at a time. The result of the test shows a spectacular display of power, but they don’t mass detonate. The worst fireworks accident in modern history took place in Enschede, Holland at a fireworks warehouse. In May of 2000, a small fire led to two massive explosions, leaving 23 people dead, including 4 firemen. 947 people were injured and an estimated 2,000 homes were damaged or destroyed, leaving over 1250 people homeless. Posted in Fireworks Accidents, Fireworks Explosions	| Comments Off on Worst Fireworks Explosions and Accidents!